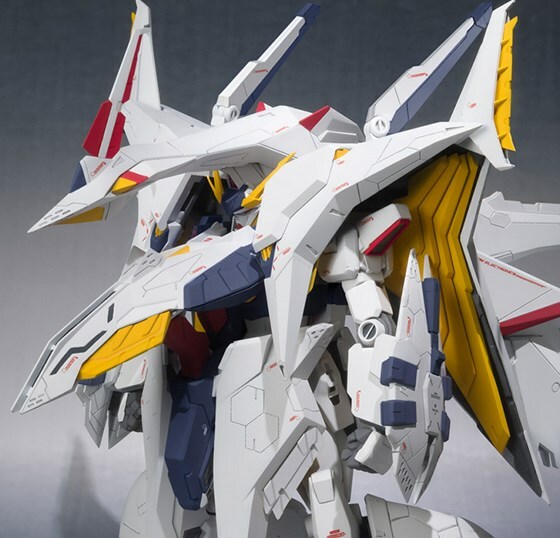 Not wishing to miss a trick, Bandai have followed up from their pretty damn fantastic Robot Damashii Xi Gundam with the news of a Robot Damashii Penelope to be released this August. 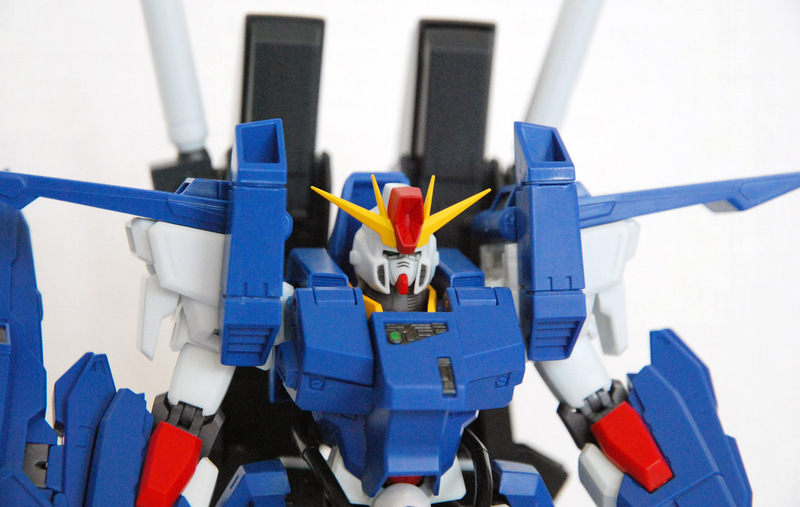 Like the RX-105 Xi Gundam before it, the RX-104FF Penelope is a webshop exclusive and will come in two variants. A standard release at 23,760 yen and a “Markings Plus” version for 28,080 yen, the latter basically comes in a two tone white and grey colour scheme. Though for an extra 5,000 yen. Pre-orders started today and partly brought Bandai’s site down with it, which was somewhat amusing to see. Considering that we’re getting this much love from Bandai towards Hathaway’s Flash and the inclusion of the mobile suits in Gundam Extreme Versus Maxi Boost leads many to believe there are other plans for the series. Especially as we saw a Gustav Karl surface in the final episode of Gundam Unicorn, fans are thinking Bandai might start an all new novel only timeline when it comes to the anime. Either way, we now have a frankly massive Penelope to look forward to and we’ve already pre-ordered ours. We’ve tried to avoid doing these kinds of lists over the years. Mainly because they end up being contentious and misinterpreted. That said it’s about time we got around to doing this. Especially as other places have attempted similar lists and ended up being laughably parochial and clearly ignorant with it. Before we start, there are a few a disclaimers. “Best” in this context means that these games are obviously great fun to play but they also went on to influence other games as well as approached mecha gaming in a unique way. They might have even resolved design issues that had plagued other titles too. 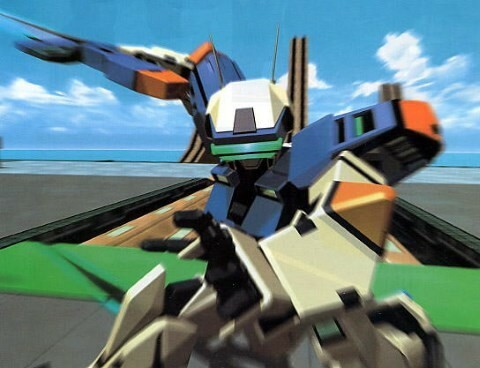 The games listed are also not necessarily based on our reviews either, as some we have yet to even cover, but more how they have defined mecha gaming over the years. 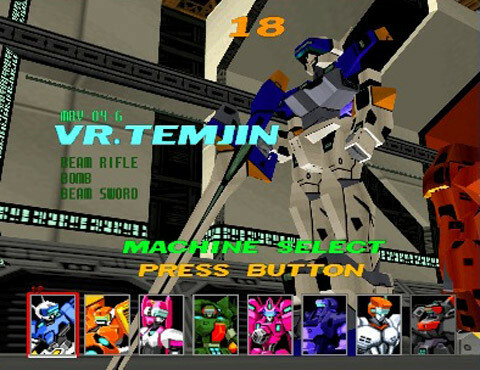 These are also games that we regard to be very well wrought, based on our years of experience from playing lots and lots of mecha games. 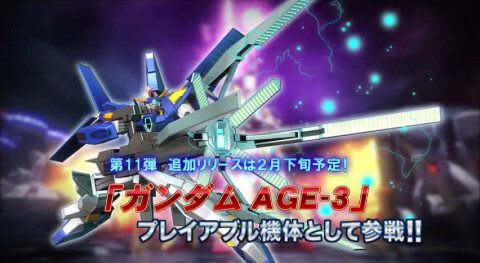 Three new suits will be added this month to Gundam Extreme Versus Maxi Boost, Gundam Harute from Gundam 00: A wakening of the Trailblazer, and Deathscythe Hell and Heavyarms Kai from Gundam Wing TV. The first is essentially a brand new entry in the 3000 category and looks to be much more in line with the fighting style of Allelujah/Hallelujah Haptism with a nice mix of long, mid, and close range attacks. His previous entry with Arios felt too tame both at the 1000 and 2500 cost in Full Boost and Maxi Boost respectively. The next two units are like the clone units we’ve seen come into the fray since Full Boost DLC came into play last year for the Playstation 3 version. Both Deathscythe Hell and Heavyarms Kai are 2000 cost units that appear to have very similar movesets to their Endless Waltz versions with some apparent changes, such as a drop in speed and the inclusion of the Buster Shield attack for Deathscythe Hell and the inclusion of the famous twirling knife melee attack for Heavyarms Kai. It will be interesting to see if the drop in cost and gameplay changes make them formidable, similar to how the Gold Frame Amatsu Mina Custom clone at 2500 cost is well received in comparison to its original 2000 cost version. Hopefully we’ll hear of a home console version soon, but until then check out the teaser videos for each of the units below! Shining Gundam has finally been added to the Gundam Extreme Versus Maxi Boost roster this month after teasing its addition since the game first released. 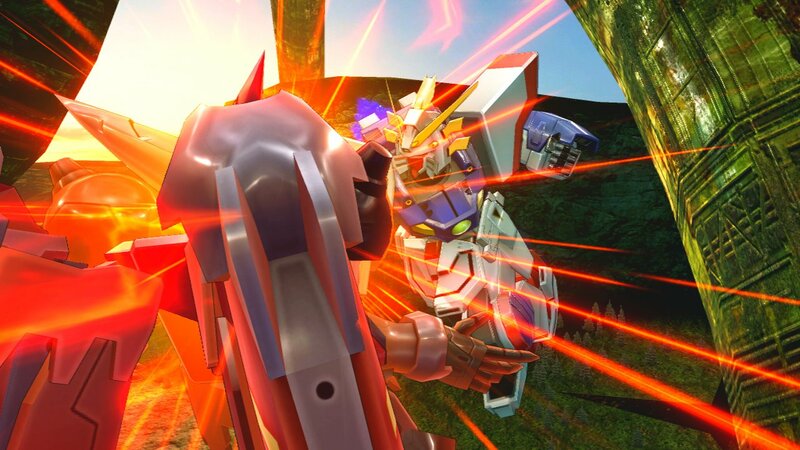 As a 2500 cost unit, Shining Gundam is most definitely a melee type fighter like all of the G Gundam units before it. 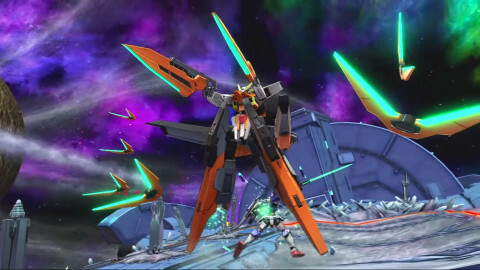 Its arsenal comes with its famous Shining Finger, Shining Finger Sword, Hyper Mode and many other unique attacks as seen in the anime. 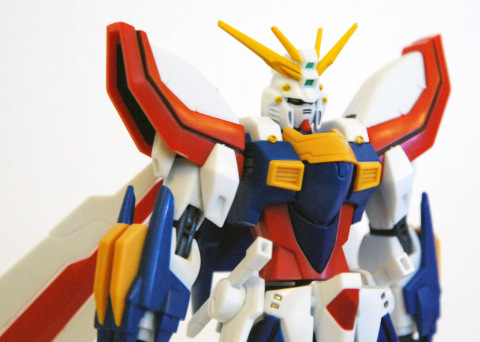 What other G Gundam units should make the cut in the future? Check out the video below to see it in action! 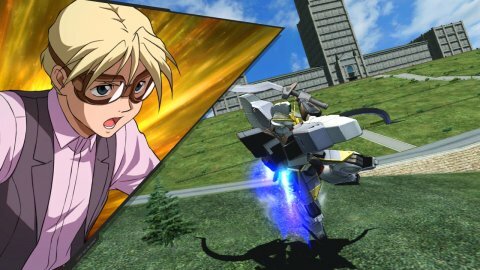 Now all the G-Boys from Gundam Wing have been added to the Gundam Extreme Versus Maxi Boost roster with the addition of Gundam Sandrock Kai from the Gundam Wing TV series (if you don’t count the Wing Zero clone with Quatre). As the November roster addition, Quatre’s Gundam comes in as a 2000 cost unit. Its expected arsenal is there with the iconic Heat Shotels, sub-machine, and Maganac Corps as its assists. The Sandrock also employs the Zero System similar to Wing Gundam Zero which prevents it from being locked on for a short amount of time. All that’s left now is the original Wing Gundam to be added… and maybe a Mercurius or Vayaete. Make sure to check out the video below and see Gundam Sandrock Kai in action! Courtesy of our good friends at HobbyLink Japan, we’ve been sent a toy from the fantastic Crossbone Gundam manga to review. 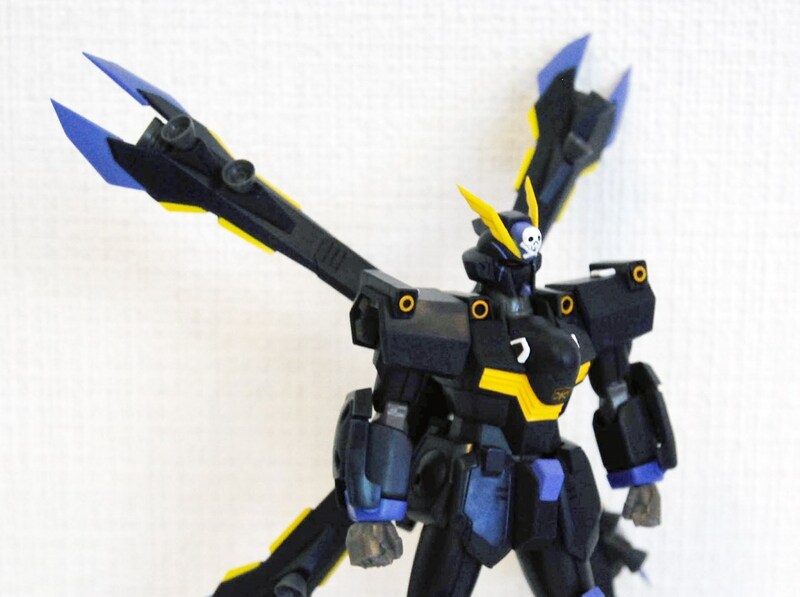 Specifically, the Robot Damashii Crossbone Gundam X2 Kai (Full Action) that’s on sale. In addition, to give the toy some context, we’ve also linked gameplay and anime footage of it in action at the end of the review. We recently reviewed the amazing Robot Damashii Full Armor ZZ Gundam over at Hobbylink.tv, this being the final version of the titular mobile suit as seen in ZZ Gundam. It’s an amazing figure though and whilst a webshop exclusive is worth getting. The detailing alone for a figure of this size is pretty fantastic really.